If you finish 1st in a race you score 1; 2nd scores 2; ..... 8th scores 8. There is a total of 10 races scheduled and then a Medal Race (in the MR the scores may double; i.e. 1st scores 2; 2nd scores 4 etc.). Therefore if you finished 1st in all 11 races your final score would be 12. The dnf (Did Not Finish) and ocs (On Course Start, over the start line too early and not correcting) scores 9. After 5 completed races you get to throw away your highest score (shown in red). Only the top 5 scores proceed to the Medal Race where scoring is double the normal position score. All points from the Medal Race are added to your total score to determine your final standing. The event will end Sunday even if they are unable to complete all remaining races due to weather conditions. The competition began even before the races started. After Friday's measurement and inspection process, the Brazilian team protested the Canadian team, claiming that they had filled their hulls with water before the weigh in. Seems that they were just washing the hulls after the long trip (and maybe some sand from Woodland Beach). Nothing to worry about. Then, on Saturday during some practice races it was determined that the Brazilian boat was illegal due to a repaired main halyard. Guess what other team was the only team that had a spare (legal) main halyard. That's right, the Canadian team of Dan & Marshall agreed to lend them their spare part. That's got to be good for an extra edge somewhere, don't ya think! 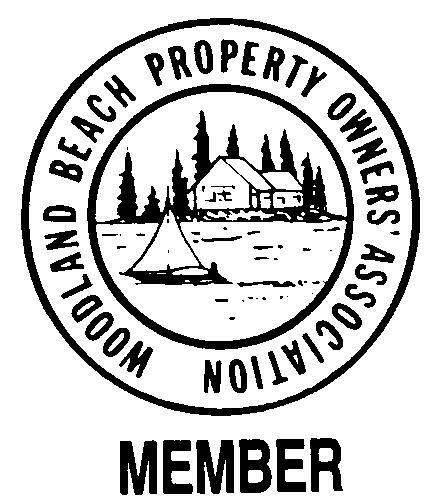 A big THANK YOU to all the generous supporters at Woodland Beach and beyond who participated at our regatta and the WBPOA 30/70 draw. We also want to thank the Bayshore Seniors for their generous donation. Marshall has spent his summers at Woodland Beach since birth, 20 years ago. He is the son of property owners Carol and Jamie. 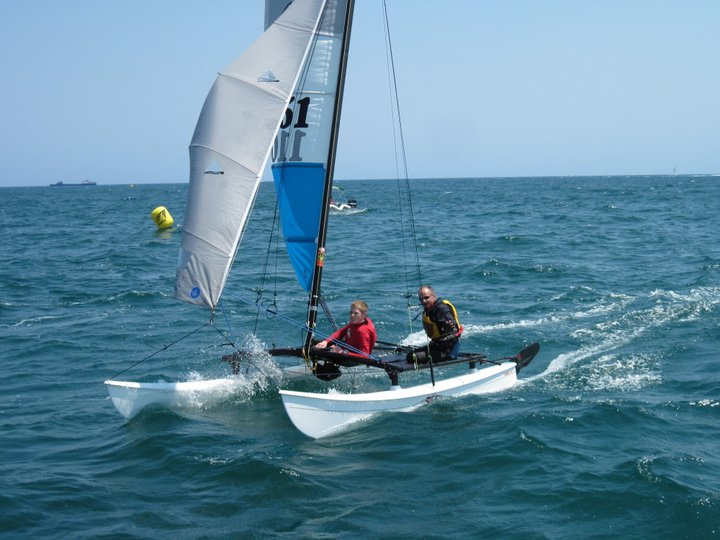 He has sailed most of those years with Kevin Stittle, also from Woodland Beach and an Olympic sailboard and catamaran sailor. Marshall has his own Hobie 16 at Woodland. He will be competing at the Pan Am Games in October 2011, in Mexico. 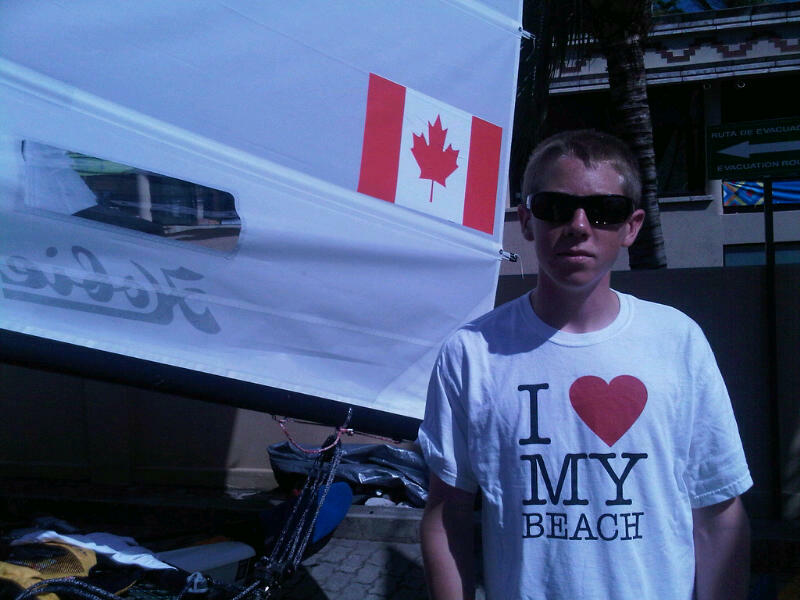 Last summer (2010) Marshall teamed up with Dan Borg from Etobicoke to compete as a Hobie 16 team. They tested their skills internationally in October at 'North Americans' in Nevada and did quite well. 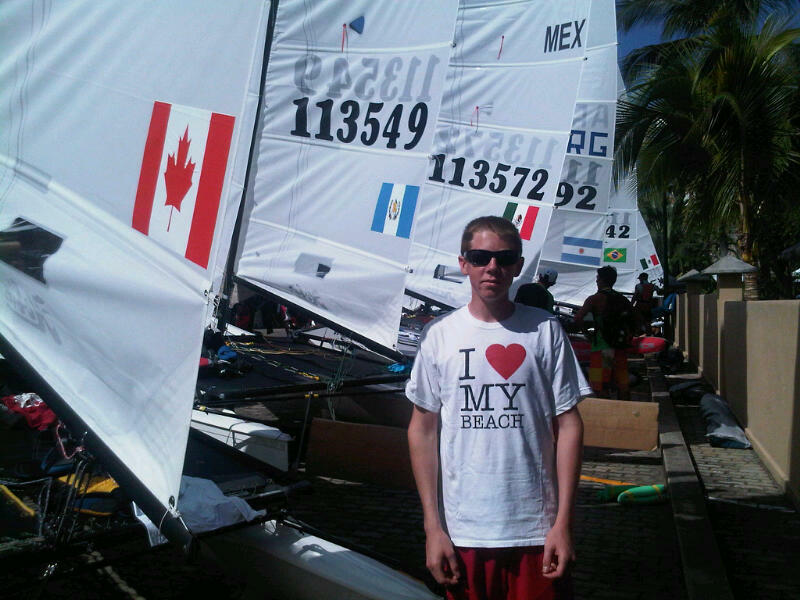 In March 2011 they secured a Pan Am spot for Canada at a regatta in Ft Lauderdale. Since then they have placed 1st in Delaware and 3rd in Syracuse. Sat & Sun July 23 / 24... training at Woodland Beach. An event that raised $1257.00. Thanks to everyone who attended. We hope that you enjoyed the day. Sat. Aug. 6. 2011.... Hamlin, NY www.thebeachcats.com no wind, no race. Dan and I spent the weekend in New Jersey racing at Shore Acres Yacht Club. 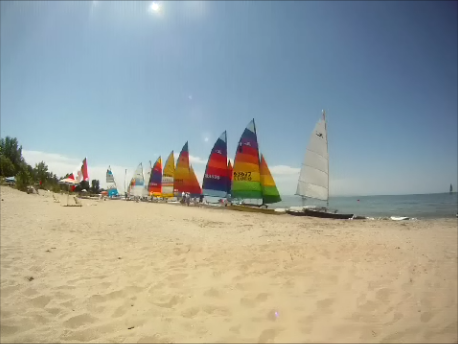 We had four races on Saturday against 10 hobie 16s and some tough competition. We started with maybe 6 or 7 knots and then built to around 17 knots later in the day. We placed 1st, 1st, 5th, 2nd. Sunday was about 20 knots, there were three races but we only stayed for 2 before we headed in and packed up the boat for the long drive home. We placed 1st and 3rd in those races. Even without racing the last race we still won the event overall with 1 point between us and 2nd place. It was a great practice race and the boat was feeling fast. This weekend we will be racing in Canandiaugua New York and then we will be loading the boat onto the UPS truck at RCYC on Thursday to be shipped to Mex. I will keep you posted when I know more. Dan and Marsh are currently ranked 3rd in North America. A big Thank You to all those who made this event a success!!! This fundraising event total was $1257.00 which is very close to Marshall's airfare to Mexico. If you have pictures, please send them to ray@wbpoa.org so that they can be posted here for all to see. 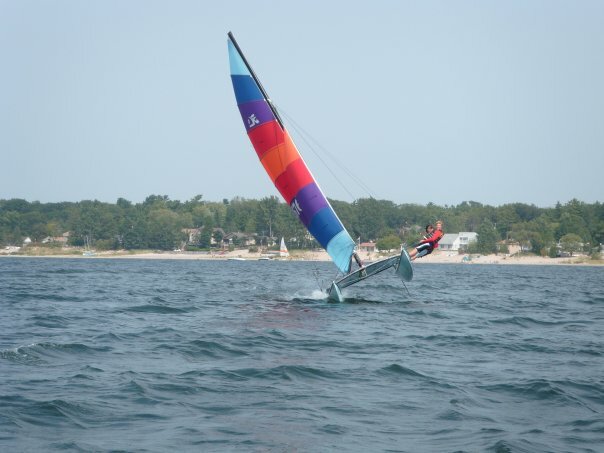 Woodland Beach sailor, Marshall Champ, will compete at the 2011 Pan Am Games Hobie 16 class. A big Thank You to all those who made this summer's events a success!! !